Seven years following passage by Florida voters of a constitutional amendment that banned gill nets and limited other nets to 500 feet in size, the community of Panacea was reeling. 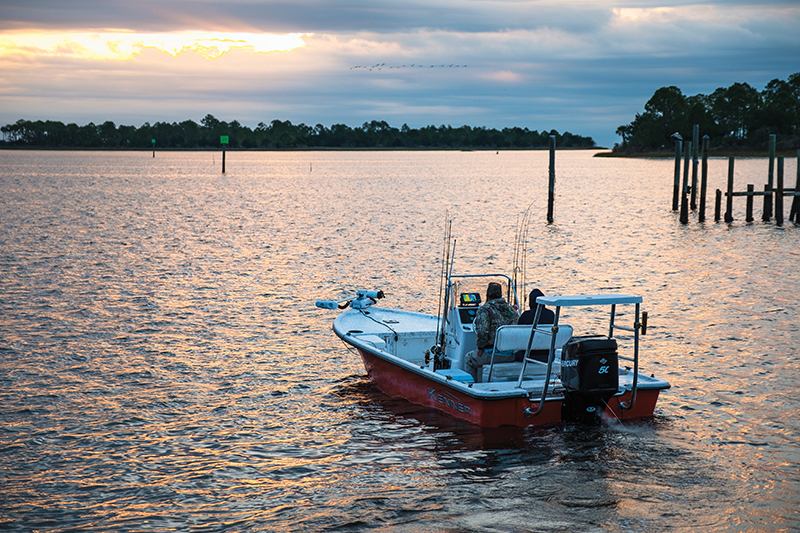 For generations, Panacea has been a commercial fishing town, and the net ban kicked the town right in its bedrock. The town was starting to decay. Storefront businesses were closing, and something had to happen to stem that tide. At the time, Pam Portwood was the grants coordinator for Wakulla County. In that capacity, she wrote an application to the state, seeking a waterfronts community designation for Panacea. That application process, said Portwood, who today works for the state Office of Economic Development, caused community leaders to think about Panacea and its future and to articulate a vision for its revitalization and success. The Waterfronts program also required that applicants establish a permanent board that would work to implement the arrived-at vision and further required that it hire a paid program manager. Portwood became that person. For two years following its formation, the Panacea Waterfronts Florida Partnership received $25,000 per year in start-up funds from the state. Priorities for the Panacea Partnership, now 17 years after its formation, include promoting Panacea as a fishing and outdoor recreation-centered destination for tourists — the community looks forward to being linked to the Capital City from the Sea bicycle trail — and realizing community projects by supplying matching funds to the county and other entities. The partnership saw to improvements at Panacea’s Woolley Park by providing local dollars as a match for county funds. For years it has been working to establish Panacea as a walking community and has met with some success that way. Sidewalks are under construction. Partnership board subcommittees are devoted to community beautification, marketing and event planning. The Rock the Dock fishing tournament is the partnership’s biggest fundraiser of the year. Plans for an Oct. 14 Panacea Oyster Festival, which was to have featured farmed oysters, were derailed by Hurricane Michael. The events committee also oversees family-oriented events at Halloween and Christmas. Rock the Dock tournament proceeds enabled the partnership to endow two $10,000 scholarships at Tallahassee Community College. They are reserved for students from Panacea and may be used for degree or certificate programs. The partnership’s Economic Development Committee focuses on big-picture considerations including the possible incorporation of Panacea or the formation of a community revitalization area (CRA). The board has remained active and membership has grown steadily, according to Portwood. “The board meets monthly and, at almost every meeting, we have someone who attends for the first time and has an interest in helping out,” Portwood has found. Portwood, while a resident of Crawfordville, served as the partnership’s program manager for 10-plus years and remains a Panacea Waterfronts Florida Partnership board member. “I have stayed involved because I have a passion for working to help people who want to help themselves,” Portwood said.